Asthma care is important for children in the Central Valley. Due to poor air quality in our region, asthma is a wide-spread problem. 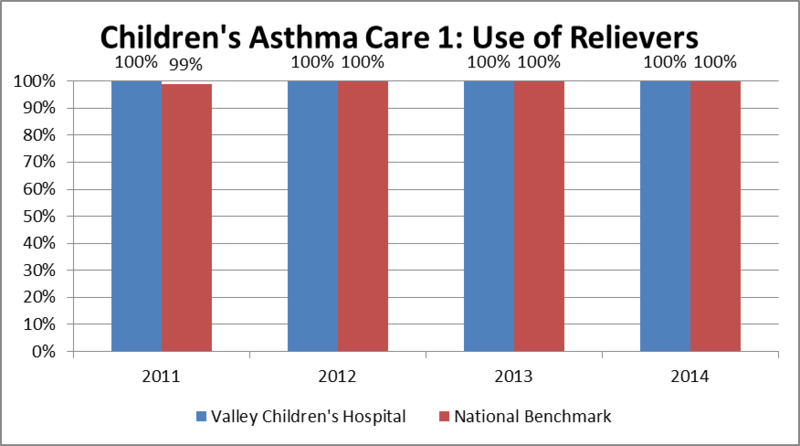 Over 500 asthma patients were admitted to Valley Children's Hospital in 2014. By following best practices on use of medications in the hospital and ensuring all patients have a home asthma management plan of care, we help our patients heal and go home quickly. 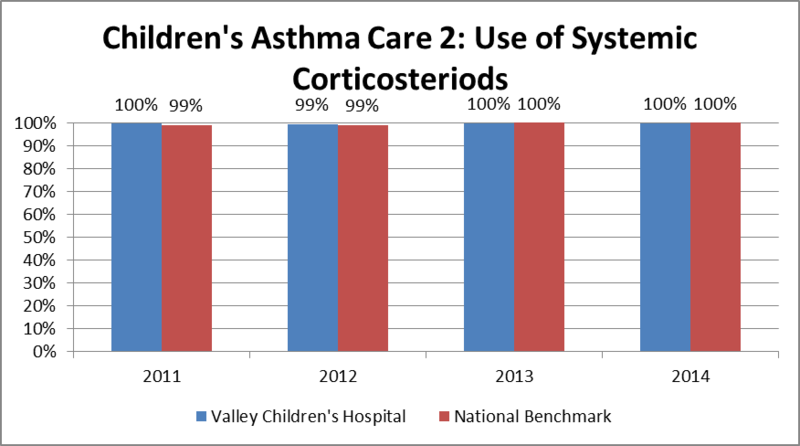 Asthma care at Valley Children's Healthcare ranks among the best. We launched efforts to improve asthma care in 2007 and today meet or exceed national benchmarks in all areas. 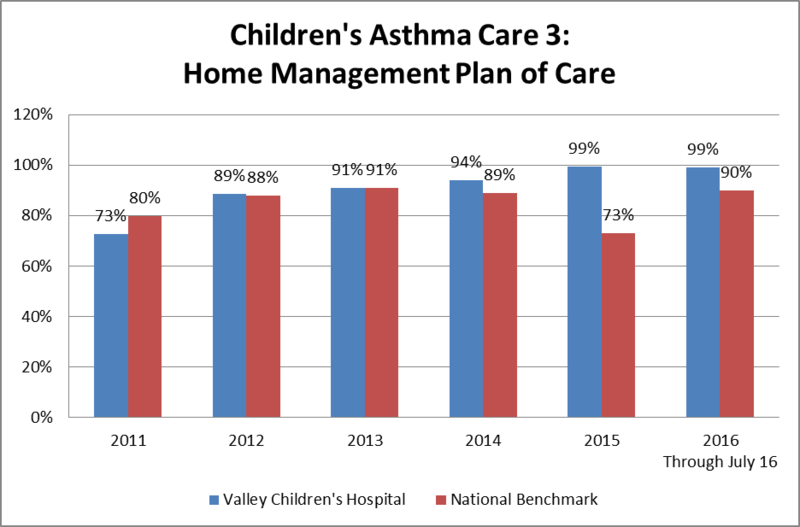 Valley Children's Healthcare has high expectations for asthma care. Proper management of asthma must include regular primary care. We are working in partnership with families and their primary care providers in the community to ensure effective home management. As of January 1, 2015, these measures were retired by The Joint Commission due to consistently high performance rates across all reporting hospitals.